Home » Lightweight Summer Models: Scratchy fleece makes your baby sweat. 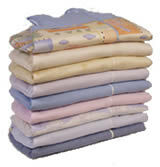 Go for breathable cotton. 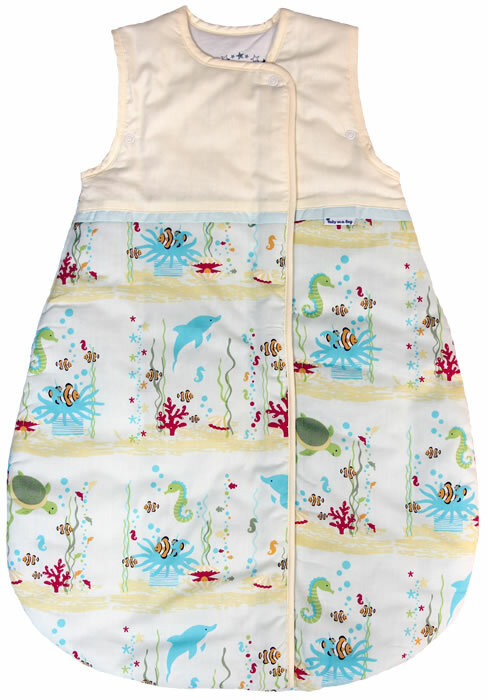 This sleeping bag is featuring an adorable tropical under the sea pattern. The "Under The Sea" summer model is made of a lovely and very soft 100% woven cotton outer shell and a premium 100% jersey cotton inner lining. This model has deluxe color-coordinated zippers and snaps. The armholes adjust with snaps for optimal fit. This style is offered in sizes medium and large. Click here to view our sizing chart. 100% Cotton outer shell and inner lining. Double lined for quality, with premium jersey inner lining. Heavy duty inverted zipper for easy diaper changes.